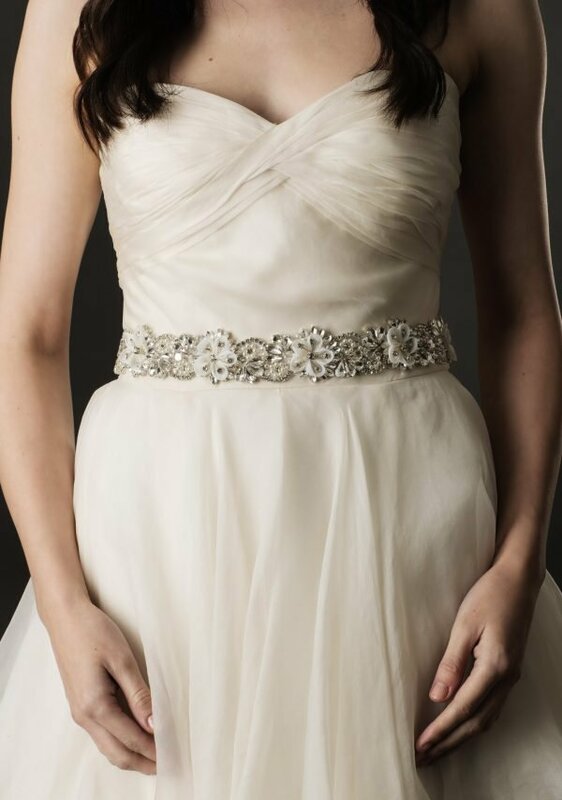 A stunning rhinestone and pearl belt, the perfect addition to you wedding gown. Each belt is designed to the specifications of each client. A beautiful lace skull cap with a detachable silk veil. 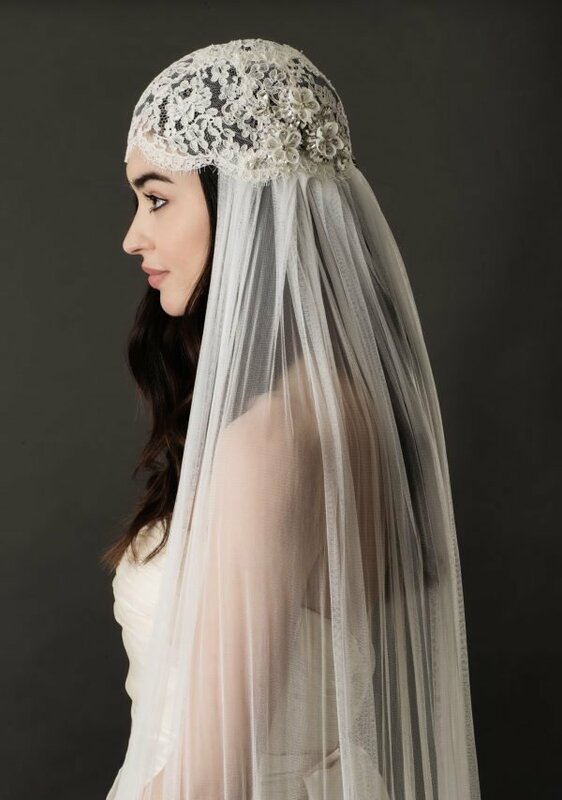 This Veil is handmade using the best luxury tulle. 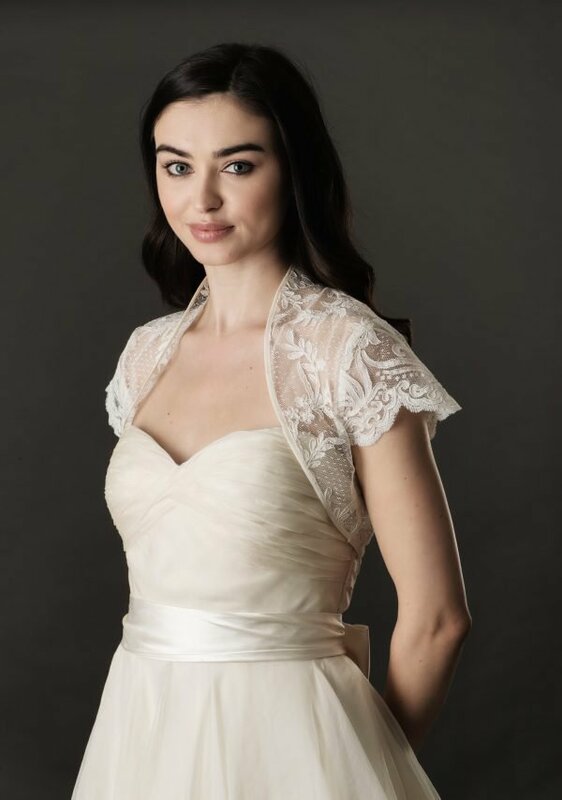 A beautiful wedding shrug designed using fine French lace.